I was in need of a very quick baby tag this morning, in fact, I had to snap a photo quickly and rush out the door to get the gift to the party location right away, as it's a surprise. They don't want anyone walking in carrying a baby gift, so as to give the surprise away! So this isn't the BEST picture, but I really love how this tag turned out, so just imagine that in person it's even cuter! My image is Stamping Bella and the sentiment is from an old MFT set. 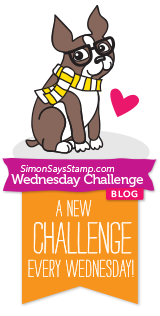 I'm entering this in the Crafty Gals Corner Challenge #17, Stripes and/or Polka Dots! Isn't that convenient that the carriage is striped and the dress is polka dotted?? 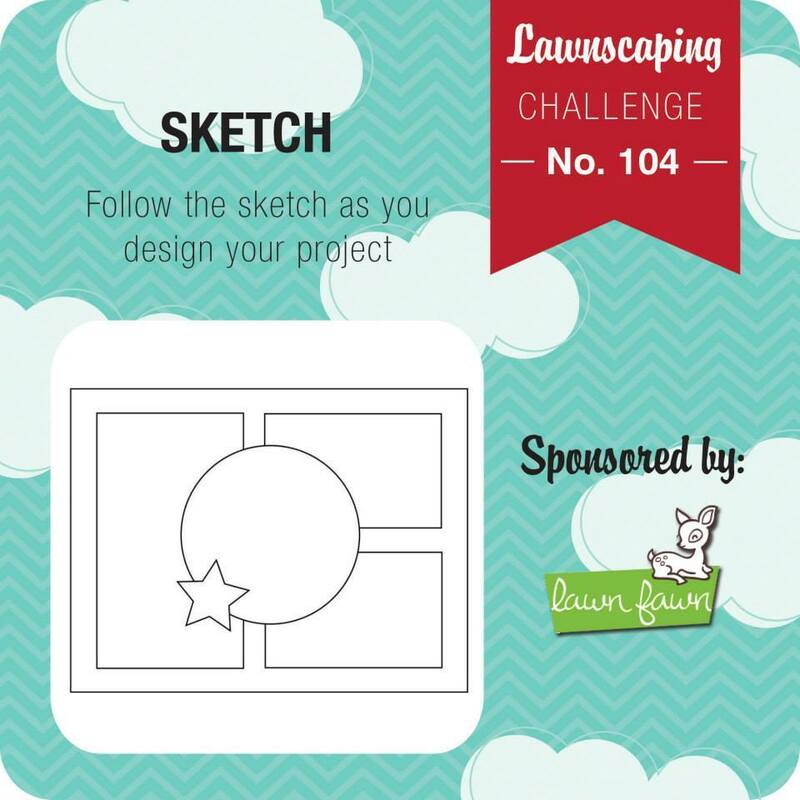 Popping on quickly with an entry for the Lawnscaping Challenge this week. I used Lawn Fawn - Year Four - Hippo Birdie set. Here's the sketch, check it out and play along! Good Monday morning to everyone here in blogland! Before I get started on the "fun part", cleaning up my mess in the craft room, I thought I'd get another card posted. Here are the supplies I used to create this tea themed card. Gold Cord is SU and the gems and pearls are Doodlebug. Good Sunday to everyone! It's a rainy, kinda chilly day here in NC and I'm so happy to be here with you! 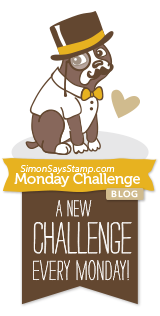 Today's challenge over at Sentimental Sundays Challenge Blog - Click here to play! is a color board challenge. And..we have an amazing sponsor,.. I just absolutely LOVE the colors Calypso chose for us, and this image from A Day For Daisies, titled "Playing In The Pumpkin Patch" became an instant fav of mine! Thanks for visiting, I hope you will play along with us this week for a chance to win some great prizes! Every so often you have to make a card for someone a bit under the weather. This card is for my uncle who is recovering from surgery. He grew up on a farm where he grew corn and had a red tractor just like this one. I'm hoping the rabbits in the corn doesn't stress him out too much, haha..but I just got this little die from Impression Obsession that cuts out all these little rabbit poses and I had to use it asap! So the tractor, corn and sun stamps are by Our Craft Lounge (no longer in business), the lawn cut is by Lawn Fawn and you already know where the bunnies came from! I hope you enjoy my little country creation, thanks for stopping by and leave me a comment if you've got time. I love hearing from you! Hello Friends and happy Sunday. I've been gone a while, took a much needed family vacation over spring break and then a little time recovering from vacation before I got my crafty mojo going again. So, without further delay, our challenge at Sentimental Sundays this week is "Animal Love", and our sponsor is The Doodle Garden! Check out this super sweet Doodle Garden puppy image I've colored up with my copics. The die cut and matching embossing folder are by Sizzix and the little embellie on the side is by Heidi Grace. PTI Kraft and MFT Sno Cone are the papers I used. 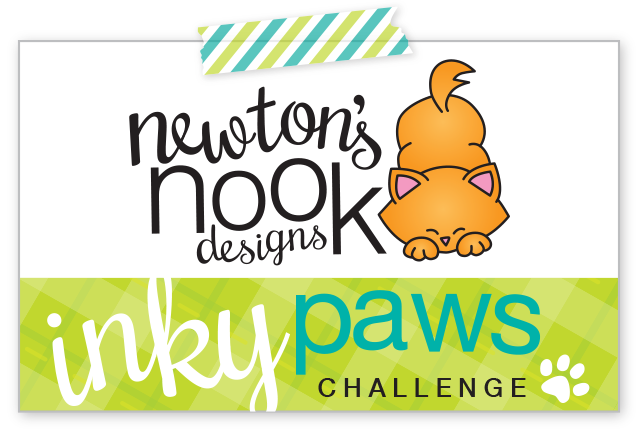 Thanks for stopping by, I hope you'll join us for this weeks challenge and show off your "Animal Love" projects! Light It Up Blue For Autism Hop! If you would like a chance to win a prize from one of the these fabulous companies, leave a comment on this blog, and any of the other blogs participating in the today's hop! Winners will be chosen at random and will be announced on Monday, April 6th. 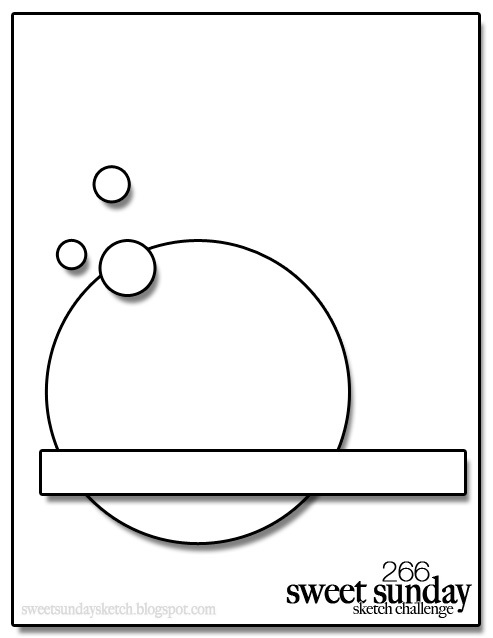 Now here are the cards I created for today's hop! For two of my most special nephew's 7th and 9th birthdays, I created these BLUE themed cards to Light It Up Blue! I combined some older things with newer things as it's always fun to go through my stash and combine products to make these cute scenes! Than you for visiting, I'd love it if you left a comment or click to follow my blog..or both! Have a great day!